"Get Involved!"... but really, Get Involved. My first day as a volunteer at Mobile Baykeeper was in December 2006. Over 8 years later I’m still here, but as a staff member. My name is Donna Jordan and I am Program Director at Mobile Baykeeper. My story is about hard work meeting opportunity. I moved to Mobile in 2006 and was looking for something to do while I searched for a job. One day I came across a call for volunteers at Mobile Baykeeper, a local environmental organization. At the time, I didn’t consider myself an environmentalist, but the organization looked interesting, so I sent along my contact information. Of all the places that I signed up to volunteer in Mobile, Mobile Baykeeper was the first to call me back. At the time, the organization had a staff of 2 and I started coming in to help out at least once a week. I stuck around because I saw the positive impact I was making in the community through my involvement with Mobile Baykeeper. After a while, our Executive Director, Casi Callaway, asked if I wanted to start getting paid for the work I was already doing and I said yes in the spring of 2007. Becoming a professional environmental advocate wasn’t easy. I didn’t have a science background, instead I was a business major. Starting out there was a huge learning curve to tackle, but I was a quick reader, a good writer, and most importantly: I wanted to learn. My first years here were spent learning about the many different sources of pollution to water, land, and air and the legal protections at the local, state, and federal level to control or prevent pollution to our environment. The simplest way to describe what I do at Mobile Baykeeper is that I read, analyze, write, and speak about complex issues that affect the environment in Coastal Alabama. In my time at Mobile Baykeeper, I’ve reviewed countless permits, wrote thousands of pages of environmental policy documents, spoke to thousands of people, and gone to more public meetings than I can remember. I’ve also had the chance to build oyster reef, conduct water testing, investigate pollution problems, as well as clean up litter from creeks, beaches, and parks. Every day at Mobile Baykeeper is different, but every day is an opportunity to make a difference. I was a volunteer that took advantage of an opportunity to make a career in environmental advocacy. There are lots of opportunities out there to get involved, personally and professionally. So how would I suggest people get involved in supporting our natural resources and environment? Get outside and enjoy the world around you. Take a walk, go biking, go fishing, go swimming, visit a park, or just sit under the nearest tree. Be informed about the issues that most interest you. Following Mobile Baykeeper on Facebook or on Twitter @MobileBaykeeper are excellent ways to keep up with what’s going on in the community. Volunteer! Besides the obvious benefit of doing good in your community, you’ll meet new people and have the chance to network. Go to meetings! If you see an advertisement for a public meeting or forum, try to attend. Public meetings are a great opportunity to make your opinion known! Donate to causes you support! 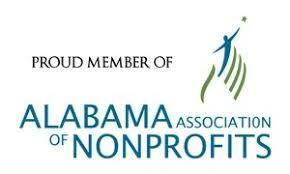 Mobile Baykeeper always appreciates donations of time and effort, but financial contributions keep the staff working. Vote! Consider candidates’ position and record on issues that affect water and air quality when in the voting booth. Talk about why you care about the environment. Tell your parents, children, siblings, friends, co-workers and anyone else who’ll listen why you love the outdoors. Help them understand why they should care about the environment too!